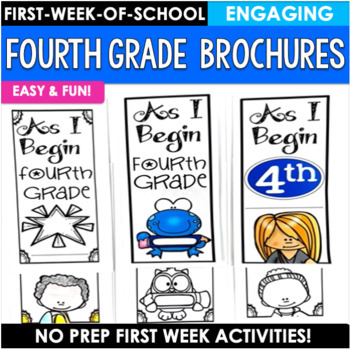 Back to School Brochures for fourth grade will help you get to know your students. Perfect for the first few days of school and for Back-to-School Night, the brochure is both informative and reflective. Easy-to-use and great for your sub tub. Modified versions included to suit individual needs. Each modified page has larger writing spaces and reduced tasks. Extra bonus brochure is included with four pages to expand your options! Fun and engaging word search activity and crossword puzzle! What students don't like these? 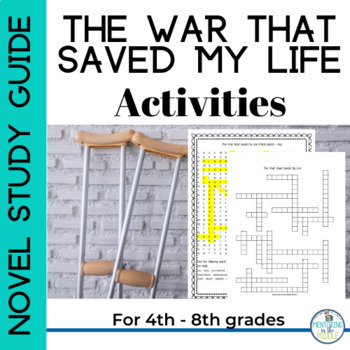 The word search can be used as a pre-reading activity before you begin reading The War that Saved My Life. Prepare students for names, words, and locations they’ll see regularly in the book, or you may have students do it as a fun activity at any point as they’re reading. It could also be used as a review before a test on the book. The crossword puzzle uses 20 of the vocabulary words found in my Novel Study. This is a fun stand-alone or review for important vocabulary. Key is provided! 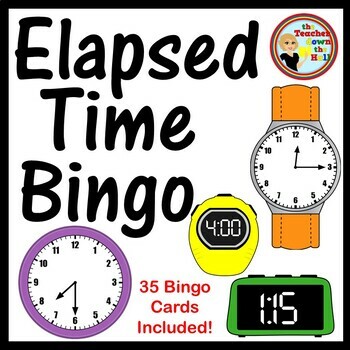 35 Bingo Cards included! Project the slide and your students will solve for: "What time did it begin? ", "What time did it finish? ", and "How long did it last?" Students will beg to play, and while playing they'll do more math operations in this simple game than they would on any worksheet. Instructions for Bingo included. After playing Bingo once a few days later, you can reviewed again by racing to find answers. Both ways are a great review of Elapsed Time! Need a fun way to practice addition as school begins? 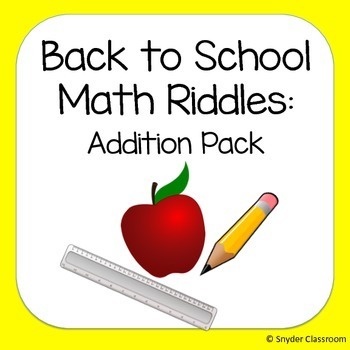 Engage your students with these Back to School addition math riddles worksheets! The creator began creating math riddles to make math more fun in her own classroom. Having used these in her own room, the item's seller loves hearing her students giggle as they solve the riddle at the end of the worksheet. Students solve addition problems, each problem has a letter assigned to it and the letters help to solve the riddle. It is a great way to combine fun and learning! Make addition FUN! 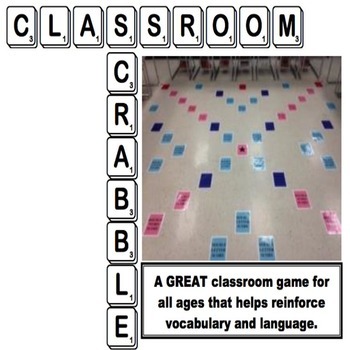 The only person who might end up loving this Classroom Scrabble game more than your students will be you! The creator of this product has been using a classroom scrabble game in his room for about the last 8 or 9 years, and it’s always a student favorite. In fact, there are still former students who become upperclassmen that will see the game on the floor and ask for passes to get out of their class that bell just to play a word-building educational game! I don’t know about you, but I think that’s pretty cool!